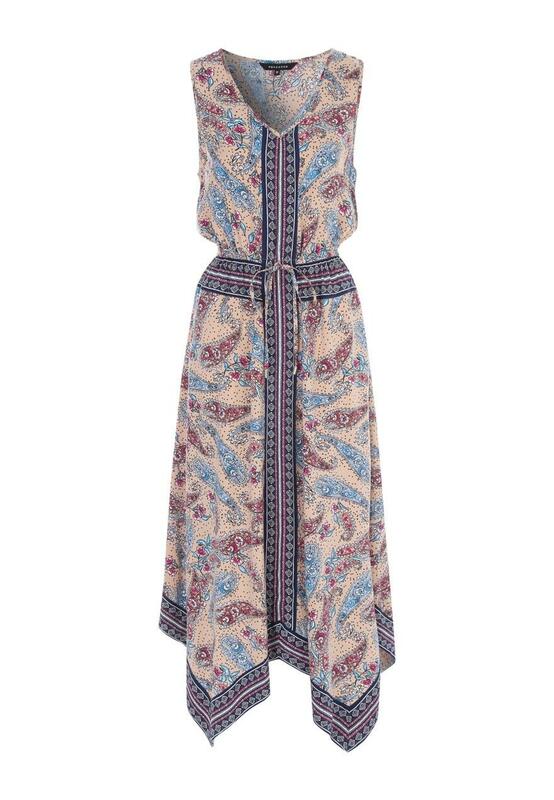 This lightweight dress will make a trendy addition to your summer wardrobe. 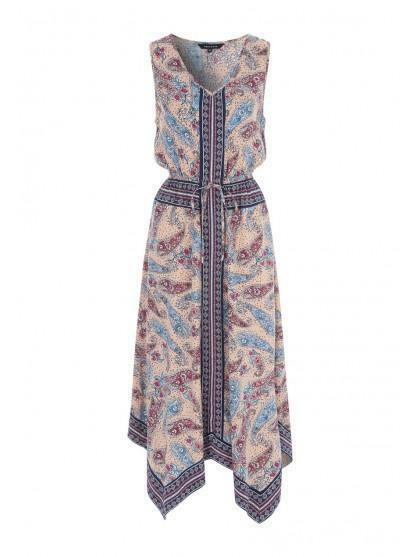 Featuring a hanky hem design, a v-neckline and all over paisley print, it's a stylish option for warmer weather. knew what I wanted so happy enough. Nice comfortable dress especially in this hot weather. Just the right length for me 5'4. Peacocks clothes are a good fit on me.